$749 Seen a lower price? The sound of steel monoliths and flickering neons signs. Icy, metallic perfection. Magnificent desolation. 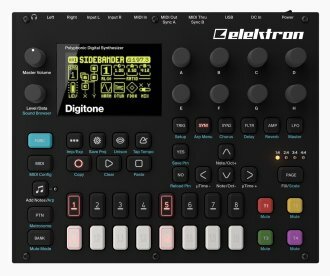 Through the unique and accessible take on FM synthesis, Elektron Digitone is a prime source of new sounds and timbres. Down the rabbit hole you go. 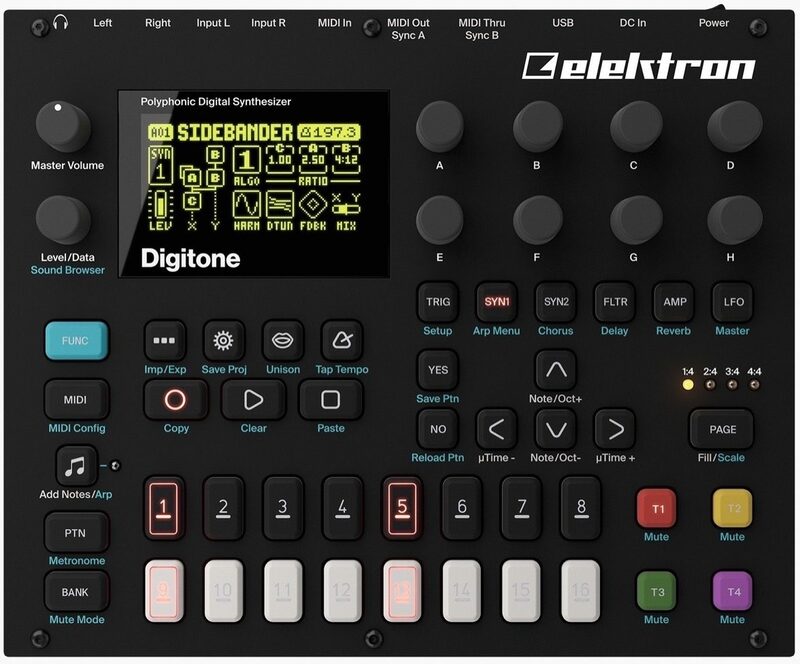 Digitone represents Elektron's vision of how FM synthesis can be revitalized and modernized. Here's how: combine FM sound generation with a classic subtractive synthesis signal flow. From jagged chaos to mellow soundscapes in less than a second. Digitone is one unique box. Digitone comes packed with grade-A factory content, designed to be the perfect starting block for your explorations of the FM universe. You get 512 preset sounds, ranging from the FM classics, to wild and extraordinary out-of-this-world soundscapes created by Blush Response, DivKid, Hizmi, Mark Fell, Zabutom, the Elektron staff and many more. - 100x 100 mm VESA mounting holes. Use M4 screws with a max length of 7 mm. Available until 11 PM (EST) today. Mention special code 20L-D2PG when you call.